Firewalking double World Record holder, and New Zealand’s Leading Authority on Building Trust in Teams. Would Your Team Walk Over Hot Coals For YOU? Would you like a team who are high performing and producing higher profits and productivity than ever before, as well as having more fun and harmony in your workplace? 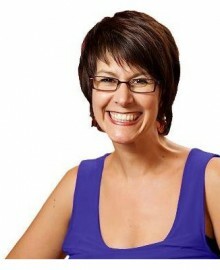 Gaelene works with business owners/managers who want to ignite a fire of success with their team. You see, most businesses are dormant money machines. The problem is that most business owners/managers don’t know how to turn their people into a high performing team. Gaelene Adams Wood’s roles have included coaching, training, leadership, business management, event management, sales and marketing. Recently she has been working in the area of strategic change, with 18 months leading a team through significant change within the accounting industry. Her areas of speciality are personal and team flow.